Josue Colman netted the winner four minutes from full time as Orlando City SC defeated the New York Red Bulls, 4-3, for their first win of the 2018 season at Orlando City Stadium Saturday. 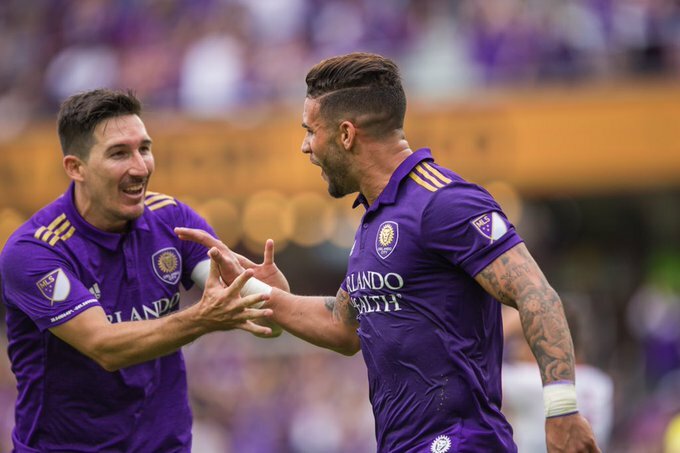 Colman's first MLS goal capped a wild, feisty affair that saw the sides level 2-2 at halftime before Dom Dwyer netted his second of the game three minutes into the second half to give Orlando (1-2-1) their first lead of the game. Aaron Long latched onto a Marc Rzatkowski free kick and headed in off Joe Bendik to equalize for the Red Bulls (2-2-0), who utilized a heavily rotated lineup ahead of Wednesday’s first leg Concacaf Champions League semifinal at Guadalajara. But Colman provided the heroics as Scott Sutter's shot deflected off him and past Luis Robles in the Red Bulls goal.